I am a huge truffles fan. I’m the sort of person that doesn’t even buy the variety pack of truffles. I’ve already sampled them all and know which my favorites are. In honor of truffles, here’s a very easy recipe for milk chocolate cafe truffles. Combine chocolate, Iced Coffee, and butter in a saucepan over low heat. 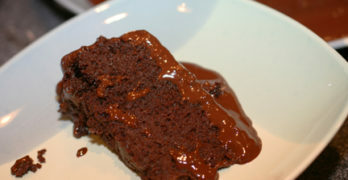 Cook, stirring constantly, until chocolate melts and mixture becomes smooth. Be careful not to let the chocolate burn. Pour mixture into a shallow bowl or tray and refrigerate overnight. To make the truffles, scoop out teaspoons of the chocolate mixture and roll between your palms to form balls. Roll each ball in sprinkles, cocoa or candy. 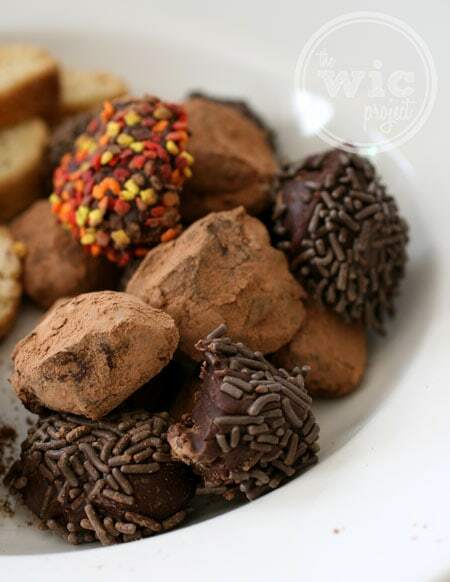 Place truffles on an ungreased cookie sheet and refrigerate until set, about 15 minutes. This is the kind of recipe that makes me feel very accomplished in the kitchen – holidays are coming soon yey! I love making truffles! I will try this recipe. It is always a good time to “practice” making new recipes you make for the Holidays. Oh wow I didn’t know how easy it was otherwise I would’ve tried making them years ago thanks! I’d like to try these for one of the big gatherings we do every month! I am also a huge truffle fan – I started making them a few years ago to save some money…I spent too much at truffle shops! Never made them before but i have to try sounds so good. This recipe is so simple, thanks for sharing. 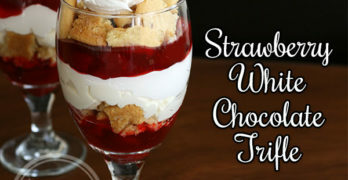 I think I’ll be making these this weekend. I’ve been wanting some truffles for a few months now, I usually only get them around Christmas time when my Aunt Linda makes them. Thank you very much for sharing! I’ve always wanted to try making truffles, this sounds so easy! I have never made truffles before but this recipe sounds easy enough. I always thought they would be too much trouble but this sounds awesome and they sound good too! Such an easy recipe and the possibilities of crushed candy or sprinkles are endless! Thank you so much for sharing. Wow, what an easy way to make truffles. I never thought of using ID iced coffee that way! I will definitely have to try this one. UMM UMM!! These chocolate Truffles sound so good and easy to make..I am going to make these for our next family get together..Easter…I know they will be a big hit with everyone…God Bless..
i am going to try these with bitter sweet choc or dark chocolate chips.